Today, 39 years ago one of the most evil laws ever to exist took a hold of the country that is "Under God." This law made it legal to kill unborn children at any moment of time during gestation. This law attempts to play God by labeling when a human becomes a human; when a person becomes a person. It is a disgusting law written as a guise to protect "privacy" and women, but at the expense of a child's life and the mother. It is a law that in a sense brings back the Pagan child sacrifices done to please serpentine gods that demanded human blood from the innocent. It is a law that puts mother against child. Wife against husband, girlfriend against boyfriend. It is a law that inflates the feminine ego to a point that she becomes selfish, so selfish that her child is worth dying in order for her to do as she pleases. It is a law that the United Nations uses to force other nations to decide whether to adopt it to receive aid or reject it and suffer. It is a law that ignores the most fundamental knowledge of Modern Biology, Psychology and Embryology that we all are required to learn. 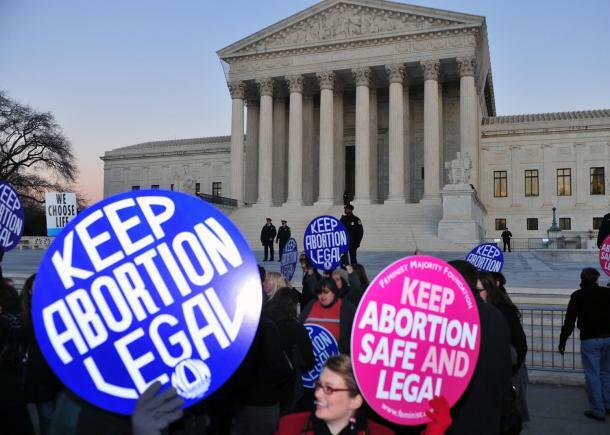 This law came from the horrendous decision in the case Roe v. Wade. 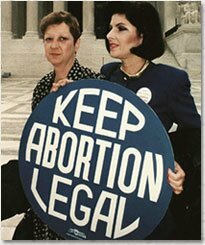 Roe or Norma McCorvey brought charges to the Supreme Court claiming that women have the right to end their pregnancies in the name of privacy and so called bodily autonomy. Abortion is destroying America and the world. We have lost generations of children. 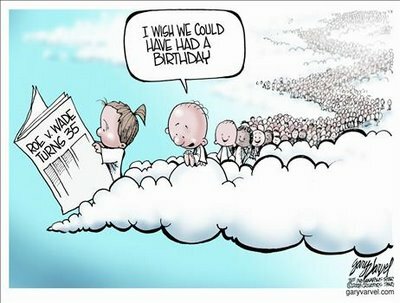 These children would have been working now and adding funds to Social Security and the Tax systems of the world. Any of these aborted babies could have grown to discover a cure for HIV/AIDS, Cancer or even the Common Cold. Perhaps one of them could have been the next Einstein and have developed a way to travel faster than the speed of light. We will never know now because Abortion keeps society from advancing. Abortion is a power trip. It gives a sense of grandiose. When one can easily kill a human life for whatever reason and not be penalized, that is the ultimate psychopathic rush. When one becomes so desensitized that an unborn child is no longer a child but a "blob of cells," then this becomes a delusion. It is a false sense of empowerment for women. It puts her against her own child. It is the epitome of selfishness and egoism. 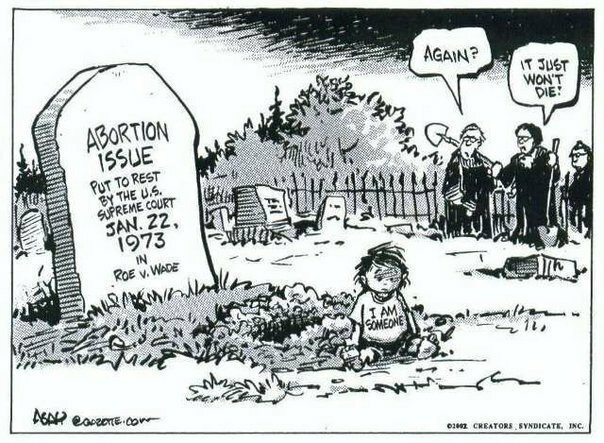 It is no wonder why supporters of Abortion come from the "ME" generation as some Sociologists and Psychologists have labeled it. 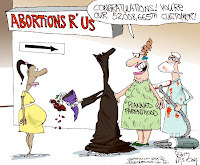 Organizations such as Planned Parenthood which was founded by racist and white supremacist Margaret Sanger makes huge profits off of killing the unborn. Sanger described minorities and disabled people as "unfit" to exist. Sound familiar? Isn't that what Pro-Abortion advocates say today but in a sublime way? Courts after courts run by activist judges attempt to rewrite modern Biology and Embryology by legislating from the bench when life begins and when a human life becomes a person. It is sad and disturbing that such power can rest on a mortal. No judicial degrees, no position of power can ever give any mortal a say on who is human and who is not. 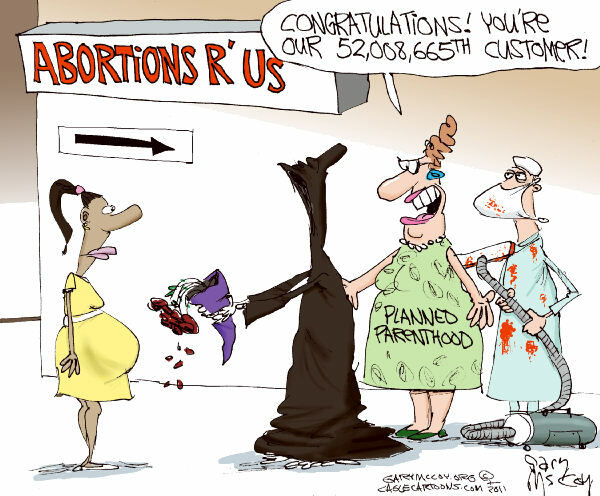 Everyday roughly 5,000 babies are killed in abortion. Their remains are discarded in the garbage along with other medical waste. It is crazy to think that people support this as a right. Some even describe it as "medical care." Doctors in training are told that when caring for pregnant women they are caring for TWO patients. Roe v. Wade distorts this fact by trying by all means to discredit the knowledge we possess about pregnancy and when human life begins. America wake up! Is this the freedom we preach to the world? Is this the land where all have the right to "Life, Liberty and the Pursuit of Happiness?" 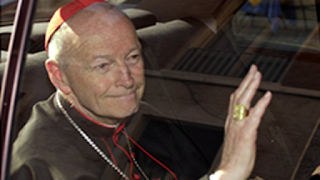 We have modern technologies that clearly show that the unborn are NOT "blobs of cells." We have technologies that show brain wave activity in the unborn. How can we allow this barbaric procedure to continue to exist in modern times? Roe v Wade is often called a "landmark decision." Well yes it is a landmark decision, but not the one the definition describes. This landmark decision is destroying our most valuable asset as a society: the youth. We must remind ourselves the value of all human life regardless of stage of development, color, gender etc. Abortion is not an issue for solely Republicans, the "Christian right," etc, it is an issue that affects all of us and our morality. If you are Pro Choice, please reconsider your position. You know what you learned in Biology class. You know the science out there that is on the side of human life. Do not set aside science for rhetoric that is nonsensical and logically incoherent. 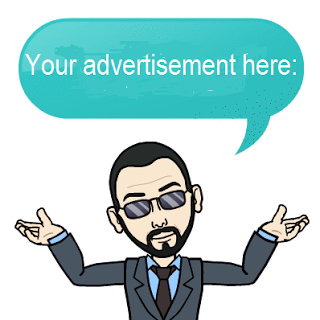 If you are young, in high school or college. Unfortunately many of our universities are staffed with those who see Abortion as a human right. Do not be deceived! You have the tools to learn about Biology, use them. A professor's views on life are his or her's. You pay tuition to learn truth, not get brainwashed with lies from progressive professors. When you weigh the truth of science against a pro choice professor, you will see that science will win. Abortion is not a medical procedure or a human right. 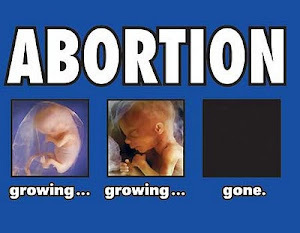 Abortion is the termination of a human life in the womb. 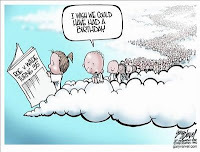 Abortion is a glorification of death. It is feticide. I have no doubt that Abortion will be aborted soon. We cannot continue this evil practice. If we do, then we as Americans are hypocrites when we put our men and women in uniform at risk to protect the human rights of others. How can we defend human rights when we deprive them to our own unborn? Hundreds of Thousands will march in Washington D.C. for the March For Life. The media will of course black out coverage of this in favor of something else. Nevertheless, we do not need the media to spread the message that all human life is sacred and dignified. Life is a right that no man or woman can give, only the Creator as the Declaration of Independence states. See my Prochoice Debunk post for more information on how ProChoice rhetoric fairs against Science, Law, Psychology and Common Sense. 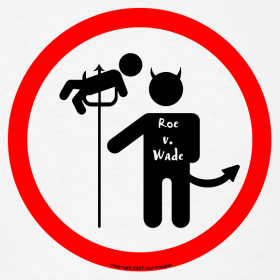 Roe v. Wade will be overturned for good! All life will be protected from the moment of conception to natural death. We are Americans, we always do the right thing!